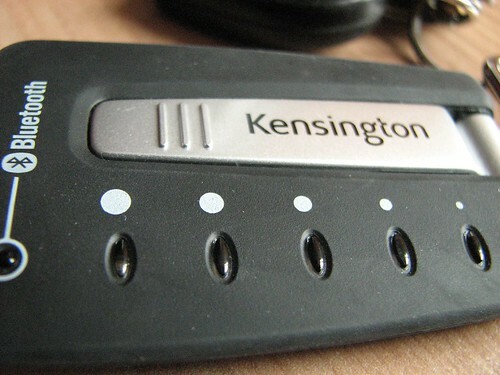 The Kensington Wi-Fi Finder Plus is a small keychain device that allows you to detect Wi-Fi signals as well as nearby Bluetooth devices. 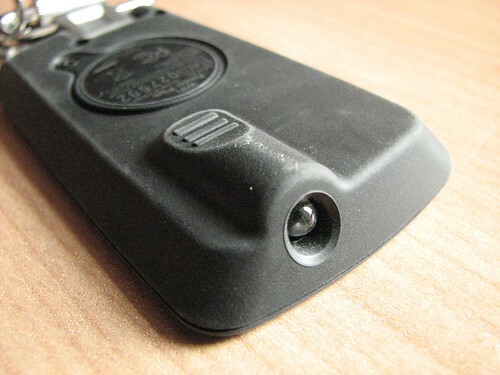 On top of this it also has a small LED light that you can use at night to find the key hole for your keys. Why would you want this you ask? Well if you’re ever in need of a Wireless Hotspot then this device could save you from having to boot up your laptop just to check whether there is a signal present. Pressing down on the power button will activate the Wi-Fi signal detector and will search for both 802.11b and g signals that are in range. On top of this, it will also scan for Bluetooth activity nearby. 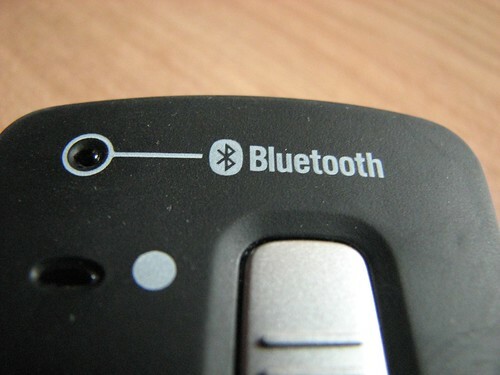 A separate blue LED is used to identify the Bluetooth signal whilst the main set of 5 LED’s are used to signify the Wi-Fi strength. Holding down the activation button will allow the Wi-Fi Finder Plus to continuously scan for a signal whilst on the move and you don’t have to worry about other 2.4GHz signal pollution in the air. The Kensington Wi-Fi Finder Plus will filter out these other signals and ensure it produces an accurate read out of the Wi-Fi signal itself that you’re after. 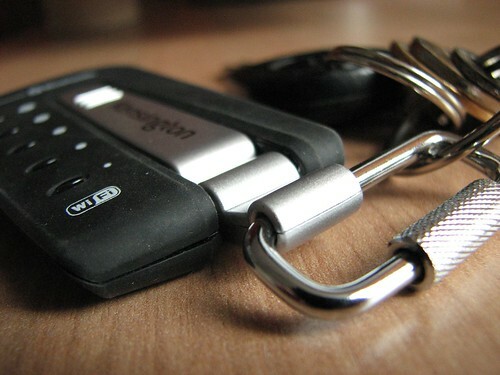 This compact keychain device is relatively small but not tiny. It will however fit nicely in your pocket along with your keys. In terms of accuracy, I guess I live in an anywhere where relatively few people have wireless that leaks out on to the street. Whenever I’ve been out I’ve not been able to find any Wi-Fi signals apart from the occasional one bar of signal that comes and goes. It definitely works though, because I tried it at work and in my home with my wireless router. The Bluetooth detector was a bit of a hit and miss though. I found that with a few phones, even when you have Bluetooth activated and set to Discoverable, this device won’t detect it. The handset has to be actively searching for other devices or be engaged in some wireless activity in order for it to be detectable by this device. When using my MacBook Pro with the Bluetooth on, set to Discoverable and searching for other Bluetooth devices (therefore sending out some kind of Bluetooth signal activity to detect these other devices) it still failed to make the Kensington Wi-Fi Finder Plus light up. The only time I managed to get the Bluetooth LED active is when a Nokia N93 had its Bluetooth on, set to discoverable and scanning for other devices. If it was left idle then it wouldn’t pick it up. That’s rather strange to say the least, and I can’t really come up with an explanation for it. Despite the Bluetooth issue, the main point behind this device, which is to find Wi-Fi signals and hot spots, works perfectly fine, as long as there’s a pretty decent signal then this device will find it. My recommendation? 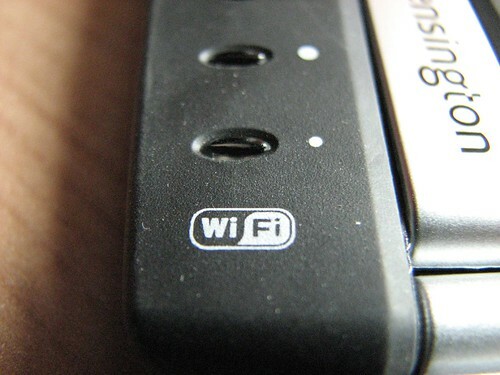 Get this if you often find yourself out and about and require a Wi-Fi signal. The Kensington Wi-Fi Finder Plus is going to save you the hassle of booting up your laptop or even getting it out just to test whether there’s a Wi-Fi signal about. 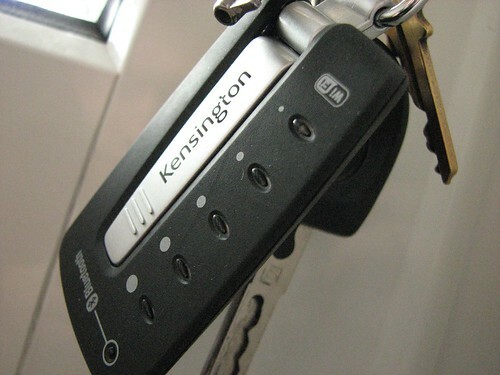 With this attached to your keys you can be looking out for the perfect Wi-Fi Hotspot just for you.